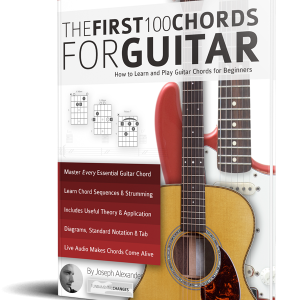 Do you want to learn Heavy Metal Rhythm Guitar but need a book that teaches you more than just technique? 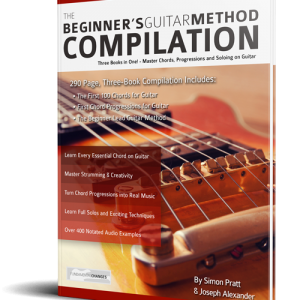 Do you want to know how to apply the distinctly heavy metal techniques to your guitar playing? 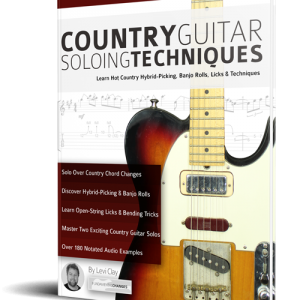 Heavy Metal Rhythm Guitar teaches the most important concepts, approaches and techniques used in heavy metal rhythm guitar. Starting with the roots of heavy metal, the essential rhythm skills are broken down step-by-step, to clearly show how authentic metal is constructed. Many guides simply show you how to build technique. 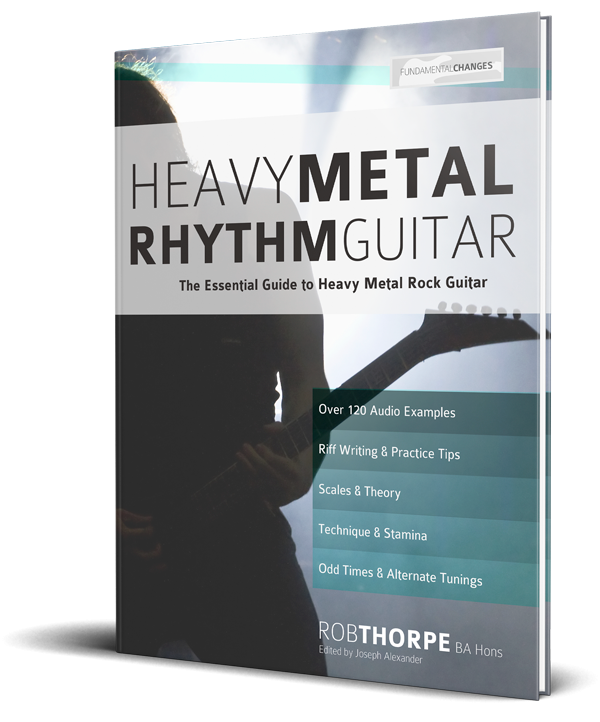 Heavy Metal Rhythm Guitar doesn’t just teach you theory and technical exercises but teaches you guitar riffs you can use and how to apply the theory and exercises to your music. 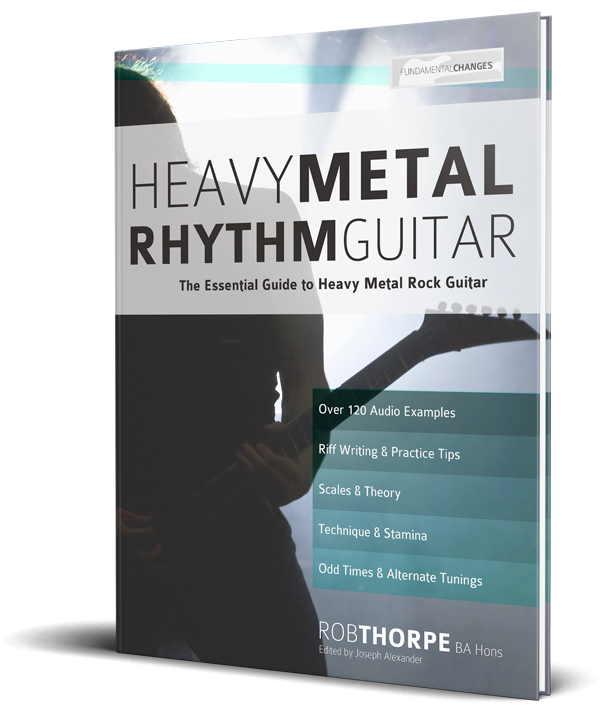 Heavy Metal Rhythm Guitar examines the guitar playing at the roots of metal in the mid-1960s, such as Led Zeppelin and Deep Purple, and the New Wave of British Heavy Metal bands of the late ‘70s and early ‘80s like Judas Priest, Saxon and Iron Maiden. The thrash metal of bands like Metallica and Slayer are covered, along with bands like Death, Pantera and Meshuggah who progressed Heavy Metal and expanded the technical possibilities. 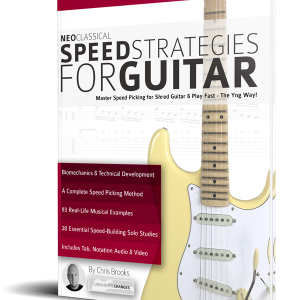 These ideas and over 140 more excellent riffs are taught in Heavy Metal Rhythm Guitar.